After two weeks without a newsletter, we’re back and refreshed for what promises to be an exciting 2018. We are looking to make our content more relevant to you so keep an eye out over the coming weeks to find out how we’re going to go about achieving this – it’ll require some assistance from your end, but it’ll be worth it! Back to the here and now, and in this week’s email we take a look at some of the most ridiculous moments from the PGA Tour in 2017, we talk through your golfing goals for 2018 and contemplate whether Tiger will make a triumphant return this year. Enjoy the read. Tiger – yes or no? Much was made of Tiger Woods’ return to competitive golf at last year’s Hero World Challenge and we know that many of you enjoyed seeing the 14-time major winner prowling the fairways once again. But how do you think he’ll get on in this year? Will he win a tournament? Maybe he’ll add to his tally of Major victories? Or perhaps he won’t find the winners’ circle at all? This is exactly what we’re asking in our monthly poll, so click on the link below to have your say. It’s common knowledge that fewer people play golf during the winter months, which makes both our course and our pro shop a little quieter. During that extra time we got to thinking: is there such a thing as bad weather for golf? There’s an old proverb - ‘failing to prepare is preparing to fail’ - that often rings true in golf. For example, if you head out to play in the winter without golf-specific clothing then you’re setting yourself up for a tough time, just like if you were to go on a winter run wearing a woolly jumper and baggy jeans. 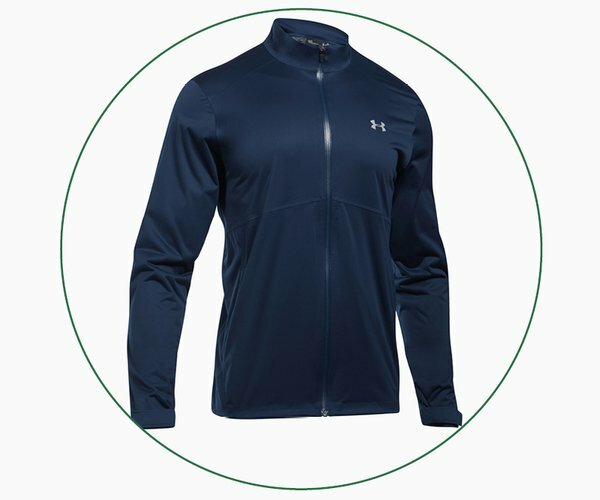 At this time of year, the best way to prepare for any eventuality is to pack your bag with a reliable jacket, like this Under Armour Storm 3. Not only is this stylish jacket fully seam sealed and designed to quickly disperse heavy rain so it’s dry enough to return to your bag, but it also boasts a breathable stretch fabric to keep you sweat free and swinging dynamically. The New Year is upon us, which gives you the chance to do something different and start afresh with your game. Regardless of how 2017 went on the course, you’ll want to improve over the next 12 months and this is something we can certainly help you to achieve. Sometimes we can get transfixed on our end goal without thinking about how we go about reaching it, but it’s only by making some smaller changes that we give ourselves the best chance of success. For example, if one of your goals was to get your handicap down then the best way to go about this is to identify the weakest parts of your game and try to improve them through a series of lessons. We’d love to hear what your goals are for 2018, so please come and share them with us the next time you’re in the shop. Available in three striking colours, the BIG MAX Aqua Space is 100% waterproof thanks to its taped seams and waterproof zips. 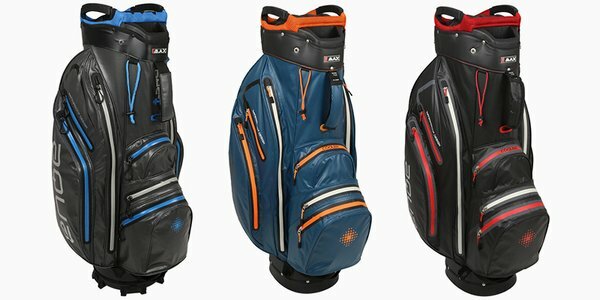 To illustrate just how waterproof the Aqua range of bags is, BIG MAX has done something slightly different to anything we've seen before...watch the video here to find out what.